With the summer months rapidly approaching and summer vacation for kids mere months away, road trip season is about to start. Road trips are ideal for a variety of reasons. They are not only a lot of fun but also a good source of bonding time for family and friends. It’s also a wonderful way to explore our country while being economical, especially for a family with many kids. With all the sights our nation has to offer tourists, why travel far away when an adventure awaits just miles away? Before embarking on the road trip of a lifetime, it is important to have all the essentials (and some entertainment). A trip can be ruined if the children start to complain of boredom or you are stuck in the middle of nowhere and missing something important. This is why we have put together an ultimate car kit for summer road trips for you and your family. Before you start, always make sure the car is ready for a long journey, and you have packed an emergency kit. For the younger kids, the license plate game is ideal. This is one of the simplest and most educational games kids can play on the road. The goal is easy; when you spot a license plate from any state, you write down the name of the state. The first person in the car to reach all 50 states wins. 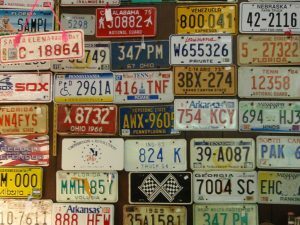 Tiebreakers can be awarded to the individual who spots a Canadian license plate. To play this game, you either need to pack a pad and a pen or print a map of the states for kids to cross off as they spot them. This is an easy and cheap way to keep the kids entertained. And as a bonus, they might learn the names of all 50 states! If you are traveling with teens, one of the best games to play is the dictionary game. 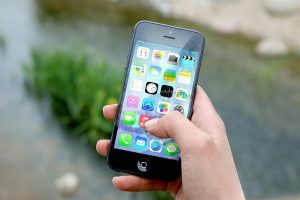 We all know teenagers are addicted to their smartphones, so the best way to engage them in a road trip game is to use apps. The Dictionary Game, which can be downloaded from the Google Play store or the iTunes App Store , is a word game where players guess the definition of an uncommon word. Each player must look up a word that they think none of the players would know and write it down. Players read their word aloud, and the rest of the players take their best guess as to what they think the word means. The winner of the round is the person whose definition is closest to the actual definition, as voted by the group. Whoever wins the most rounds wins the game. Once again, not only will this game be entertaining for the teenagers but also educational. For an adults-only road trip, one of the most fun games to play is Cards against Humanity. One person asks a question from the provided deck of black cards and the rest of the players answer from the white cards they have. Whoever’s answer is the funniest according to the asker of the question wins the round. The objective of the game is to win as many rounds as possible, which requires one to be as funny as possible and can make road trips go by quickly. One of the best parts of taking a road trip is the ability to visit different parts of the country and try the local cuisine. 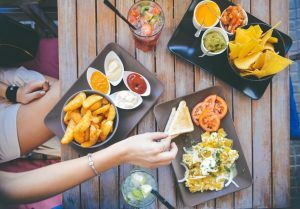 You only get to eat one or two meals in any city you stop, which is why you need to make the most of it by doing prior research. Since you will inevitably be bored on the road at some point, one of the best things you can do is a buy a copy of Eat Your Way Across the USA by Jane Stern. Everything from the best place to find real Texas barbecue to the best oysters in Louisiana to just unforgettable and economical food in small towns across America can be found in this book. As a bonus, one person in the car can read out all the options and you can have a fun time deciding and voting on which places you should go to. Plus, it can lead to some fun detours, which can help you discover some hidden gems in America. 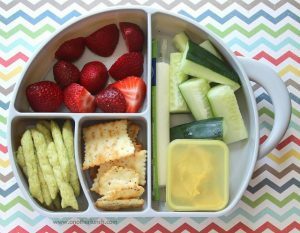 While you are on those long stretches of highway where there is no place to eat but fast food chains, it is important to have healthy snacks- especially when you are traveling with children. Snacks with protein keep everyone full until you reach a town where you can have a sit-down meal at a local restaurant. Great protein-filled options can be anything from PB&J sandwiches and muffins to smoked salmon and whole grain crackers with cheese. For those long road trips, it is important to pack snacks that won’t spoil without a fridge. Trail mixes are excellent and easy to pack. Trail mix can be made by combining simple ingredients like popcorn, granola, cereal, nuts, and dried fruit. Plus, be sure to pack ice packs to keep your food cold and cutlery and napkins to eat the food. Of course, you need to be able to find your way from Point A to Point B. Gone are the days of the detailed physical maps and navigators. Nowadays, all a road tripper needs is a navigation app. One of the best ones is Waze, which provides multiple routes, traffic updates, and lets you compare gas prices. This app is community-based, which means that regular, everyday drivers update it. Waze is available on both Google Play Store and the iTunes App Store. 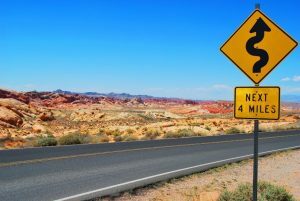 Another app that is essential for a road trip is called Along the Way, which is designed to help road trippers who are unfamiliar with certain areas find bars, shops, and landmarks while making sure the driver is not taking an unnecessary detour. Need a place to stay overnight? While most of us book things like hotels in advance, you never know what may cause you to spend an extra night in a town. Maybe there is a cool cave you want to check out in the morning or a great sunrise spot in a town nearby. In such cases, the Hotel Tonight app is a painless way to book last minute hotel rooms. The app includes rooms available for all types of hotels, both chic and cheap. They also have 24/7 customer support, and as a bonus, if you download the app from the Google Play Store, you receive $25 off your first room. You will never have to sleep in the back of your car again. Scrapbooks may be an outdated mode of saving memories, but there are plenty of modern ways to achieve the same goal. The Animoto app is a virtual scrapbooking app that allows you to turn the photos in your phone into videos with music and effects. Your kids will probably be busy taking selfies anyway so why not combine them into a family album to always remember! Do you really want to go on a road trip with your friends but your parents are too afraid for your safety? In that case Glympse is a great app that will let your parents know you are en-route and safe in any car trip. It is basically the map version of a status update, which basically lets your parents (or other people!) know that you are alive, safe, and on the correct route to your ultimate destination. Even if a significant other is going a road trip, an app like Glympse can really help ease the mind of a loved one. While road trips are one of the more economical ways to travel, gas is expensive. Depending on the length of your road trip, you can end up paying hundreds of dollars. 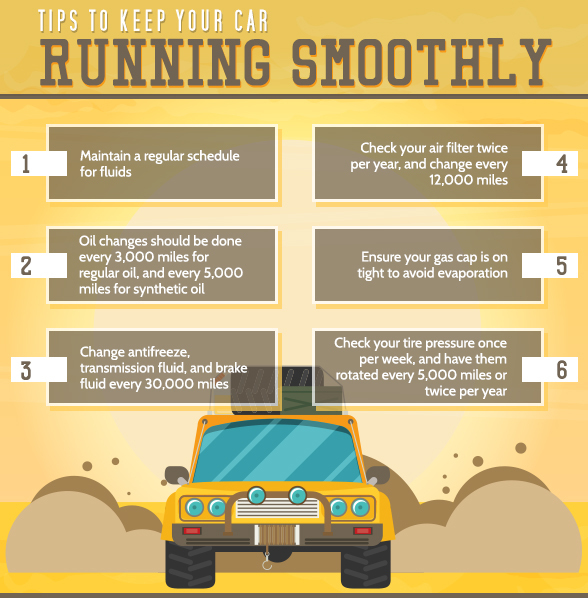 Plus, other expenses of road trips such as meals, snacks, and hotels can really add up, especially going cross-country. One great way to save money is the GasBuddy app, a community-based app where everyone joins to find the lowest gas prices possible. Users update gas prices in real time so everyone in the community can find the best place to go find the cheapest gas station. Every time you update a gas price at a specified location, you will earn points, which go toward a prize that saves you even more money. One of the most soothing things to do on a road trip is listen to an audiobook, especially if there is a book that the entire family is keen on reading or re-reading, like a classic such as Harry Potter. The wonderful thing about listening to a book as opposed to reading it is that it is a shared experience with other people. You can pause and discuss what happens in the book, enriching the literary experience. The road trip can be like a mini book club. The Audible app has more than 150,000 books available for download. All you do is pick a book, connect it to your car speakers, and away you go. One of the biggest issues on a road trip, especially for those of us who drink a lot of water or coffee, is the need for a bathroom. Since you are unfamiliar with the area you are traveling to, you don’t know what to expect when you stop in a small town and try and use the bathroom at a local bar or restaurant. That’s where the SitorSquat app comes in . It’s a bathroom app that lays out thousands of locations across the country that have bathrooms so you can plan your next bathroom stop. When a destination is designated as “Sit,” it indicates the bathroom is clean while “Squat,” implies that it could be cleaner. Using this app, you can not only plan how far away the next stop is but you can go to a cleaner location as well. We’ve all spent that day in bed watching Food Network, salivating over everything we see from shows such as Diners, Drive-ins, and Dives, Man v. Food, You Gotta Eat Here, and No Reservations. Did you ever want to just get in your car and drive to whichever part of the country the restaurants were? Even if it meant driving for 12 hours for a Chicago deep-dish pizza or a Texas BBQ chicken? Well now you can download the TVFoodMaps app, which will direct you to the nearest restaurant that was featured on a popular food TV show. You can also search by TV show or location if you are trying to plan your route in advance. If you are not a planner, don’t worry- it will alert you when you are close to a featured restaurant! If you are a foodie, this is a great app to plan your route with! 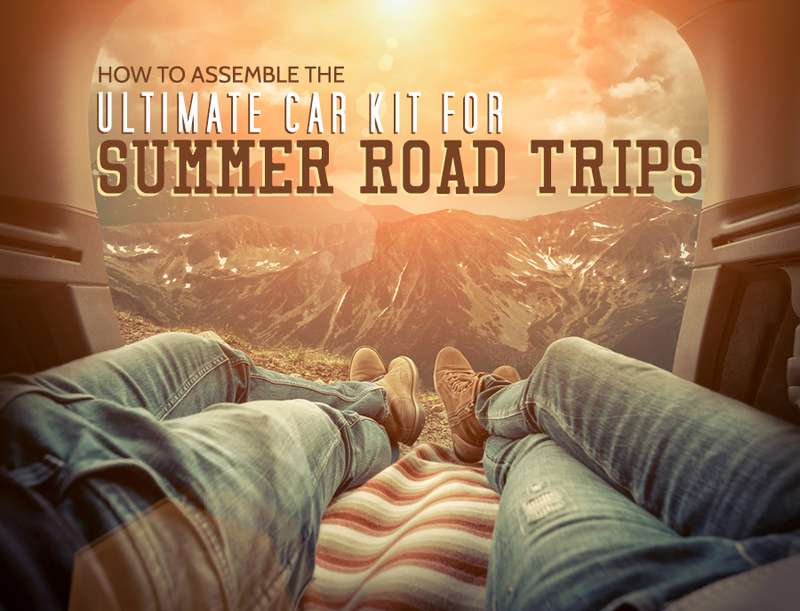 There you have it, the ultimate guide to surviving summer road trips. This guide is the key to making your trip economical, fun, and safe! If you follow our advice, it will truly be the trip you and your family never forget.